1940's. 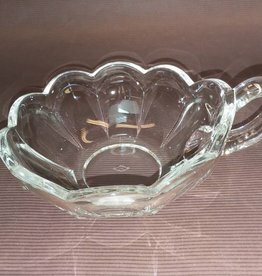 Heisey colonial panel jelly bowl w/applied finger hole handle. Heisey H in diamond mark on bottom. great clarity & condition. 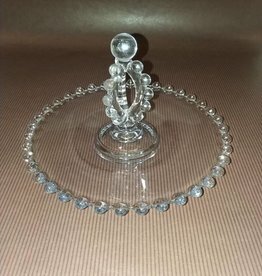 5" diameter & 6.25" including handle. 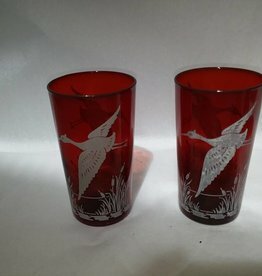 L.1930's. 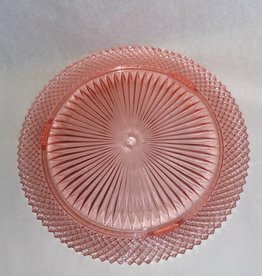 Clear depression glass Petit Fours Plate. Capris Pattern. 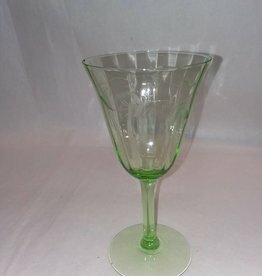 Elegant handle designed just like the circumference of the plate ("bubble" design). Excellent clarity and condition. No maker's mark. 5.75" diameter & 3.5" height. 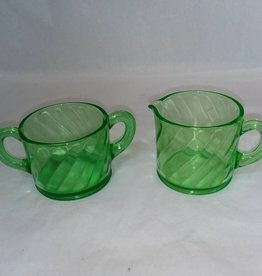 1950's, creamer & open sugar, restaurant-ware green depression glass (vaseline/uranium), glows under UV light. Excellent condition. m.1900's. 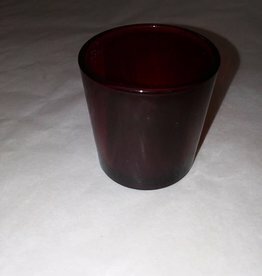 Ruby red votive holder. Beautiful color. Great condition. 2" tall. 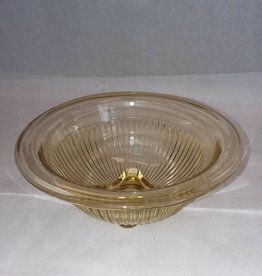 c.1940, Mixing bowl believed to be made by Federal Glass (30's or 40's), Amber Golden Glow, or Hazel Atlas Glass (40's or 50's), Yellow Depression. Part of a 4-bowl nesting set w/a square base & rolled lip. VG condition., 7 1/8"